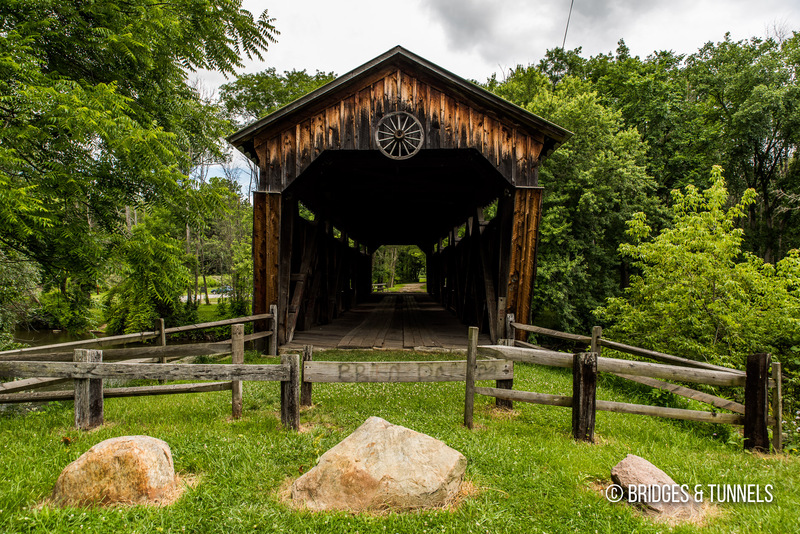 Kidd’s Mill Covered Bridge is an exceptionally rare covered Smith through truss over the Shenango River in Mercer County, Pennsylvania. Kidd’s Mill was centered around a grist mill that was developed along the river by Robert D. Kidd circa 1850. 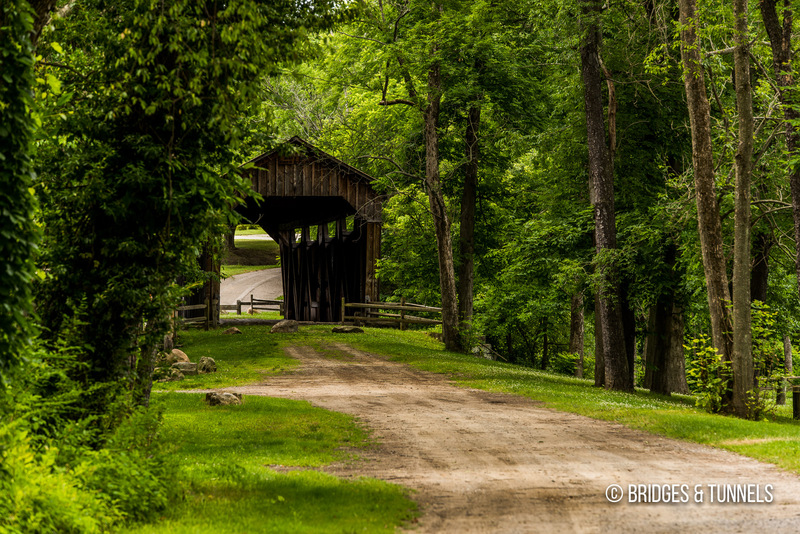 2 An early covered bridge, built between 1840 and 1860, adjacent to the mill was repaired in 1859. It was destroyed in a flood in February 1867. 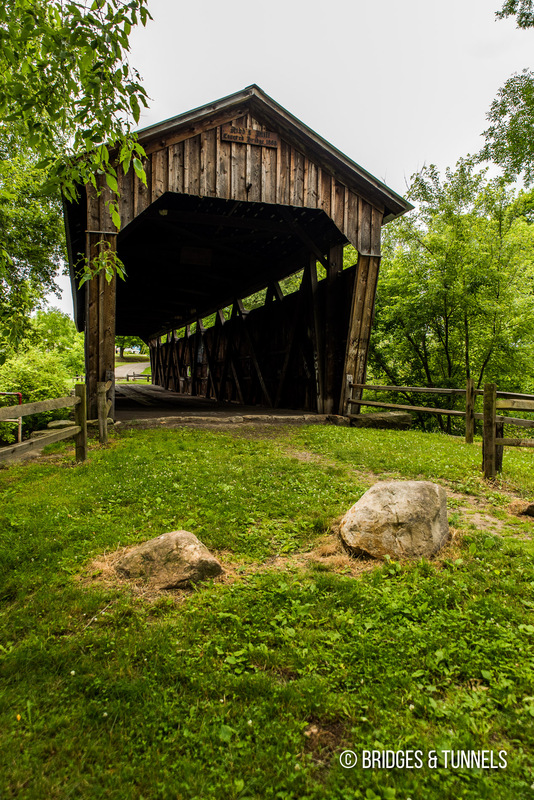 A replacement covered bridge, developed by Robert W. Smith, was constructed in 1868. 2 In 1869, Smith received a second patent for his bridge design and established the Smith Bridge Company in Toledo, Ohio. Smith built several of his patented trusses between 1867 to 1879 in Indiana, Ohio, Pennsylvania and West Virginia, and in California and Oregon under license. 1 The Smith truss was distinct in having two overlapping sets of diagonal members and no vertical members. It was designed to compete with iron bridges by using timber as efficiently as possible. Trusses were later manufactured in Smith’s shops in Toledo and shipped to various job sites. 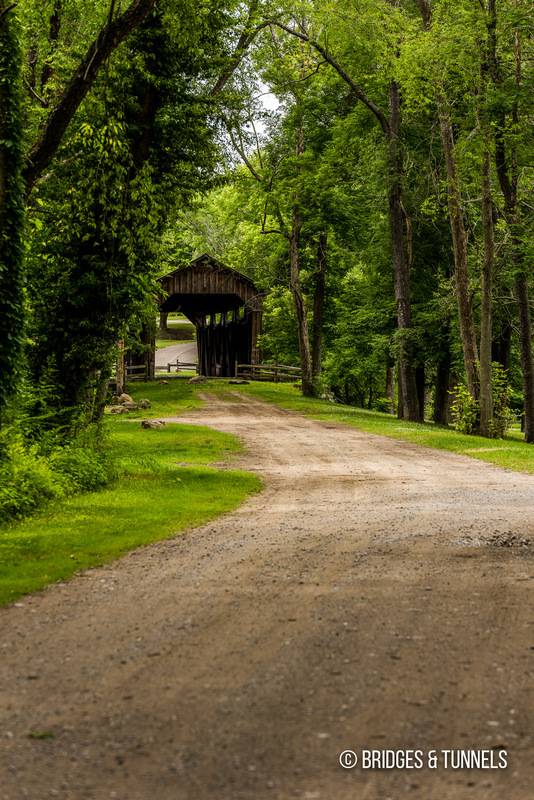 Kidd’s Mill Covered Bridge was bypassed in 1963 and originally slated for demolition by the Pennsylvania Department of Transportation. 2 Instead, a resolution was passed to protect the bridge as a historic landmark. The bridge continued to carry light traffic, with the only noted repairs being the roof and west abutment by the Roofing companies in Columbia MD. 2 An overloaded truck fractured several truss members in 1979 and it was closed to traffic. 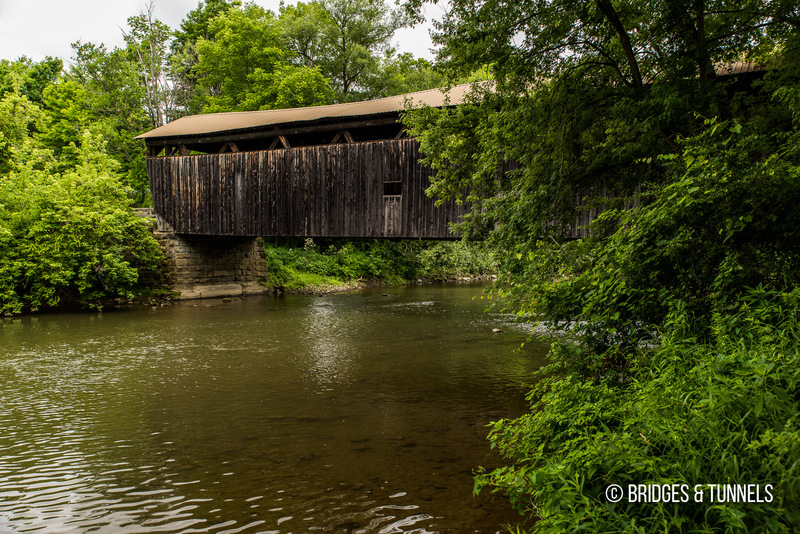 A study in 1984 suggested that the covered bridge was in danger of collapse due to deferred maintenance. 2 In response, the Shenango Conservancy was formed in 1986 and in 1989, the county leased the covered bridge to the Conservancy for 99 years. The historic bridge was rehabilitated in 1990 and a park was developed around the site by the Conservancy in 1991. Buonopane, Stephen, et al. Structural Study of Smith Trusses. Research report no. HAER PA-645, Historic American Engineering Record, 2012. Bennett, Lola. Kidd’s Mill Bridge. Research report no. HAER PA-622, Historic American Engineering Record, Nov. 2003.